Carl Warner is an artist, photographer and lecturer based in Brisbane. He is well-known for his abstract compositions and photographic assemblages derived from urban surfaces, the materiality of public space and the contested spaces of landscape. Over the past decade, Carl has spent time working as a photographer in remote parts of eastern and far-north Queensland, producing work in collaborative contexts with other artists (eg Fiona Foley, Luke Roberts), and for local Councils, Aboriginal Land Councils and State Government agencies. These working encounters have influenced and informed development of his long-held interest in visual systems such as the camera lucida and camera obscura, used to aid the drawn and painted pre-photographic representation of landscape and illustration of the natural sciences. 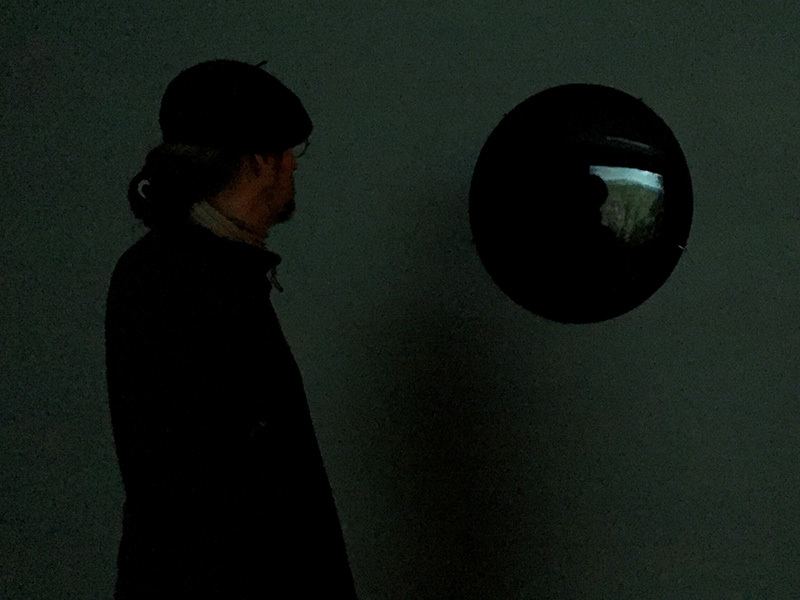 For Fieldwork Carl has developed Error and Illusion, a new work based on the ‘Claude glass’, a small slightly convex black mirror used circa 1800 by landscape painters and travellers to frame and abstract the landscape subject. Turning away from the view and holding the mirror up to frame the landscape in reflection, the smoky black glass served to reduce tonal and contrast ranges to produce a ‘painterly’ visual image within the handheld lozenge. Carl has designed and had manufactured a salon-sized version of that handy pocket mirror. 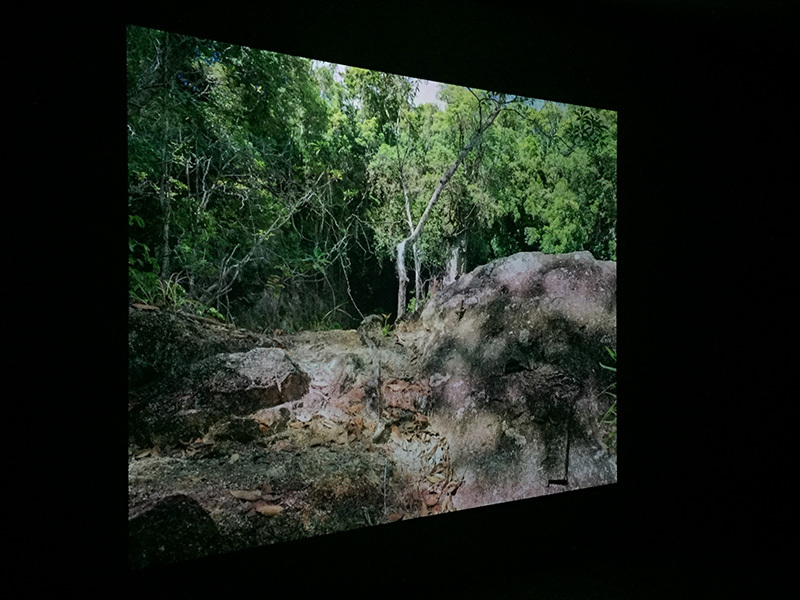 This empty, all-surface minimalist object is installed opposite a large-scale high-definition digital projection of landscape scenes photographed in the rainforests of far north Queensland. The selected locations are now identified by their historic association with the ill-fated journey of Australian explorer Edmund Kennedy (1818-1848), but they simultaneously contain a longer though less acknowledged human history of Aboriginal occupation and different locative cultural significance. The sequence of arrhythmically dissolving still images is accompanied by field audio recordings Carl made at the sites while making the photographs. This time-based aural media serves to return or evoke an experiential sense of duration and anima to the static captures.